Prime Minister Imran Khan has said giving equal rights to the religious minorities is cornerstone of the vision of the country’s founding father and that Pakistan will show the Indian Prime Minister Narendra Modi how to treat these groups. “We have to help our minorities and protect them as Quaid-e-Azam Mohammad Ali Jinnah laid emphasis on granting equal rights to minorities,” said Imran while speaking at an event held to highlight the 100-day achievements of the Pakistan Tehreek-e-Insaf (PTI) led Punjab government on Saturday. “If justice is not given to the weak then this only leads to an uprising. The people of East Pakistan were not given their rights and this was the main reason behind the creation of Bangladesh,” he added. Criticising the opposition parties, the premier said they always talk about sacredness of parliament but got a law approved from parliament to allow a corrupt person to head a political party. 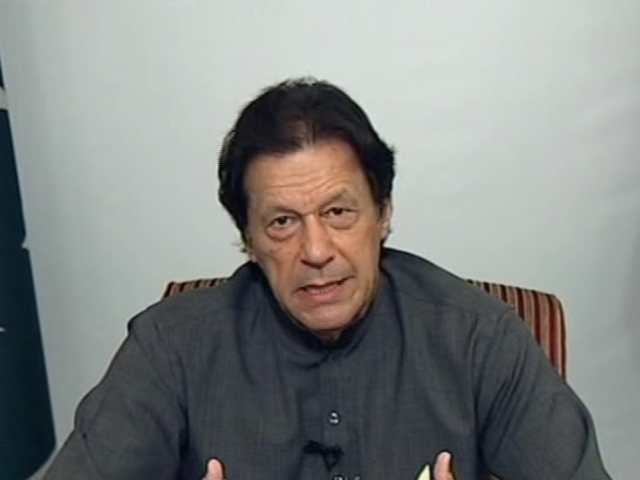 Imran said the PTI government had not made a single case against any member of the opposition parties and all the cases were filed during the Pakistan Muslim League-Nawaz (PML-N) government. “Fake bank accounts’ case [against the Pakistan Peoples Party (PPP) Co-chairman Asif Ali Zardari and his sister] initially surfaced in 2015 and later in 2017, but the [PML-N] government then did not allow institutions to probe independently.